Defra officials had already concluded that the Marine Policy Statement complied with the Equalities Act 2010. The myth - The Mail on Sunday and Daily Express claim that Defra paid £100,000 to consultants to test whether the draft Marine Policy Statement discriminated against minorities. The truth - A number of assessments were carried out across a range of policies, as required under environmental legislation. 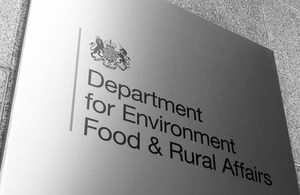 Defra officials had already concluded that the Marine Policy Statement complied with the Equalities Act 2010 and did not require a full equalities impact assessment. Defra did not spend £100,000 to find this out.